Our time is one of distrust. A time when for each product there are thousands of scams aimed at deceiving users. According to the British report Annual Fraud Indicator, fraud causes massive damage to both private individuals and corporations. For example, in the UK individuals lost 140 billion pounds in 2017, while businesses lost about 40.4 billion pounds. For this reason, there are more stringent requirements for verification of data, requests, and documents. On one hand, this protects the user, but it also makes it much harder to undergo verification for those who, for whatever reason, cannot leave their homes. This is where the new project Verifier comes in. The general concept is that from anywhere in the world you can access services to verify your identity, receive products, check information, and perform other actions requiring a verified person. Verifier agents will solve everything for you. 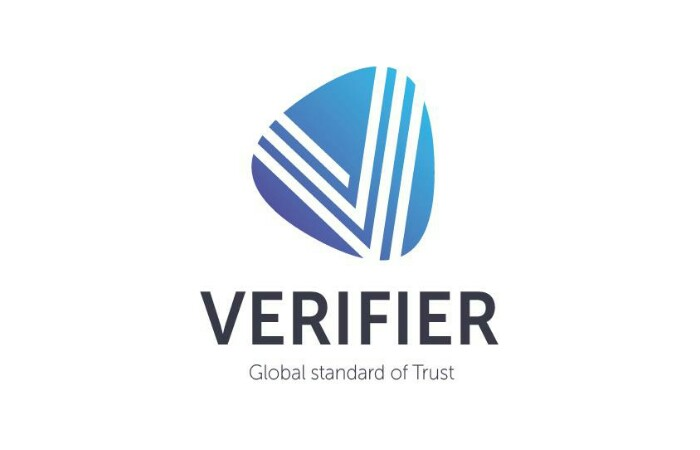 Verifier is an innovative verification technology appropriate for any kind of transaction, data transmission, or event. The speed, clarity, and security of this service is ensured by blockchain. All the services will be accessible through your smartphone after simply installing the app. The model is somewhat similar to the approach taken by ride hailing services, where transactions are made directly between the customers and the service providers. This kind of service would be in demand both in the corporate sector and by individuals. In the former case, the primary customers would by financial-sector companies who need to comply with KYC procedures. In the latter case, it would be for people who do not want to be tied down to a specific location, but also want to have remote access and to receive services. 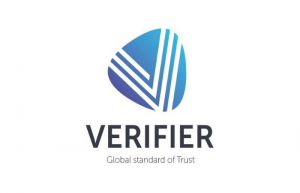 Now, you can trust, but verify – with Verifier! The blockchain service Verifier is based on the secure transfer of data within the system, using a chain of linked transaction blocks. The token issuance is intended to fund the launch and subsequent scaling of the verification service. Verifier Tokens (VRF) are Ethereum-based smart contracts. 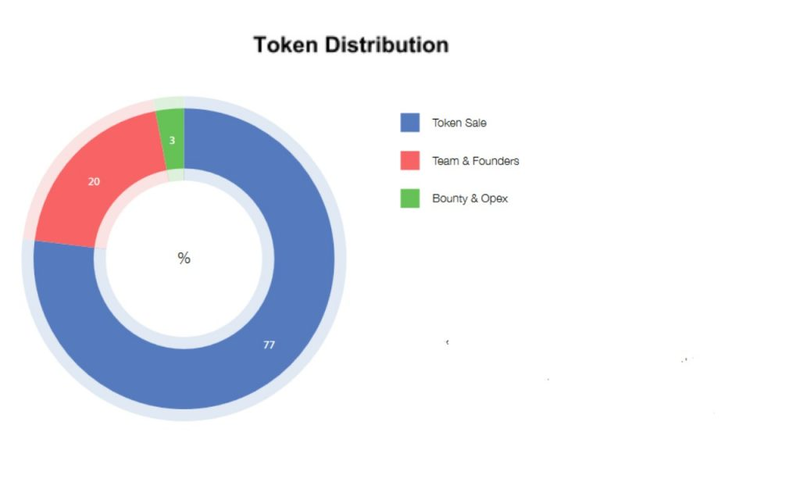 The total number of tokens in the system is 6,050,000. One token is equal to the minimum cost of a verification request in the Verifier ecosystem. 1 VRF = 10 USD. Therefore, the cost of receiving a loan at a bank or confirming an accident for an insurance claim will now cost about 10 USD. When designing the service, the team gave a lot of thought to setting the price. After a thorough analysis of the verification sector, a decision was reached to enter the market with a more competitive offer than what is offered by current suppliers: the minimum price for conducting one verification is not to exceed 10 US dollars, while subsequent prices will depend on agreements between the customer and the provider. The crowdsale will take place in two phases. The Pre-ICO has already been launched, and only a limited number of VRF will be offered during it, with a discount for early investors. The majority of the tokens will be offered in April of this year, as part of the main selling phase, the ICO. Thank you for the credible project! Means of automation and simplification are becoming more and more in demand, and sooner or later someone should occupy this niche. It’s nice to be a part of some great idea! A very simple and convenient system! I recommend all of you to try and use this project. Time is the main resource of our era and this project allows you to save it. It’s very good and simple project to take participation of it. Verifier is a worthy project and guys are going to take their high places in their niche. I’m very proud of taking participation in this project.